When more than one registration is made recording a transfer of a work, the earlier registration has the priority. The only registrations to be considered are those that are legitimate, approved by the former rights-owner, the paperwork containing no forgery. Creators of 1970-and-later works originally published as part of newspapers and magazines have the rights after the publication ceases to have them in trust. Where a grant was made after 1978, termination of a publication grant may be made by the surviving spouse or grandchildren during a five-year period beginning (a) 35 years after publication, or (b) 40 years after execution of the grant, whichever is earlier. If a grant is for rights other than publication, the five years begin 35 years after the original execution. Where a grant was made before 1978, the law permits copyrights to be “assigned, granted or mortgaged,” as well as bequeathed, but there aren’t provisions for revocation except by heirs upon expiration of the first term. Transfer need not be filed with the Copyright Office, but a fiiling provides prima facie evidence that the new owner is recognized as claimant. Termination affects the prospect for a film remake originating from the same contract as the original film. Termination does not affect exhibition of an existing film. Note: termination is not the same as the reversion of rights to an author’s estate which occurs when a deceased author’s underlying work enters its second copyright term. If the work under investigation is under copyright, or if derivative work(s) are under copyright, not all associated rights may be as valid as they had been when such rights were arranged. The rights in a particular derivative work, compilation or edition may be entangled by grants or transfers entered into by the author or his licensees. The following table indicates the periods when rights or grants may expire apart from any limitations specified in the contracts entered into among creator, publisher(s) and licensee(s). Wherever the table mentions renewals, that is the point in time when revocations could occur. For works copyrighted 1978 and later (which are given a single long term of copyright rather than consecutive shorter ones), a different timetable is used. 1909-1918 Terminations* not permitted during first 28-year term. Fresh grants allowed during second term of copyright, which would have been 28 years but was extended to 47. 1919-1922 Terminations* not permitted during first 28-year term. Fresh grants allowed during second term of copyright, which was 28 years, then again for the extended period of 19 years. 1923-1963 Terminations* not permitted during first 28-year term. Fresh grants allowed during second term of copyright, which was 28 years, then again for the extended period of 19 years (the first extension under 1976 Act), and then a further 20-year extension; go to “Renewals” section to determine if the work is under copyright. 1964-1977 Terminations* not permitted during first 28-year term. Automatically renewed for 47 years; go to “Renewals” section inasmuch as renewal-filing status has ramifications on terminations. Only where renewal was filed claimant (rather than letting renewal occur automatic) can claimant effect terminations, which is done at the same intervals as for earlier works. 1978 onward copyrighted by individual(s) Not tied to when copyright was undertaken. (Copyright is life of author plus 70 years). Grants may be revoked during the window from 35-40 years following execution of the grant. On grants for publication rights, revocation occurs during the five-year window beginning (a) 35 years after publication, or (b) 40 years after execution, whichever is earlier. * Terminations refer here to those that can be undertaken apart from wording in the contract between author and licensee. When an author dies without specifying in his will who will inherit his copyrights, the law provides that heirs will be determined on a per stirpes basis. The tables below provide some examples of how it works. 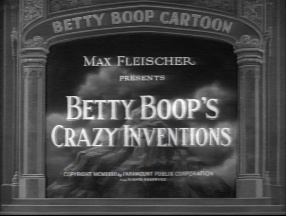 When the Betty Boop cartoons were first released to theaters in the 1930s, Paramount took out copyrights in the name of the company. At the beginning of the television era, Paramount sold the cartoons to U.M.&M. TV Corp. The copyright notices were redone to be in the name of U.M.&M., even though the copyrights were still in the first term and though the new notices might mislead viewers into surmising that U.M.&M. had filed the initial registrations. Section 46 of the 1909 Act (which became § 32 of the 1947 Act) says that after a copyright transfer has been documented at the Copyright Office, “the assignee may substitute his name for that of the assignor in the statutory notice of copyright”. Notice that it uses the word “may”. It used to be that if a company bought the rights in a particular medium to a particular work, it was getting all the rights. The assumption was that when a company invests in a property, it should get all relevant rights, without potential conflict from other licensees. This changed with a court ruling in 1970 concerning the television program The Fugitive, which had been based on a novel which had been filmed as a theatrical movie prior to the television series. The 1976 Copyright Act codified the 1970 court ruling into law, and subsequent court rulings (including a 2001 decision by the Supreme Court) have confirmed it. Summaries of these cases can be read on this web site on the citations and court summaries page on indivisibility, with direct access to the decision concerning The Fugitive. Owing to these decisions and the change brought with the 1976 Act, it now is the case that in place of the old system of permanently-packaged rights, authors get to reclaim some rights in time. The tables at the top of this page indicate the time frames. However, unlike the legal quagmires that sometimes engulf pre-1978 works when heirs renew works adapted as movies during the first term of copyright (see the page on this web site devoted to citations and court summaries for terminations of grants provided by entry into new copyright term), the right to terminate grants does not disturb the rights of previous licensees to continue to exploit earlier derivative versions of a work. In 1941, two unknown playwrights named Murray Burnett and Joan Alison failed to get any theater interested in their drama Everybody Comes to Rick’s. The Warner Bros. movie studio had a different reaction. 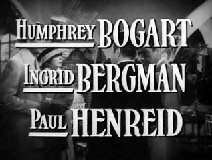 Story buyers for the studio recognized the dramatic potential of the central conflict and that the war-related background would grip American audiences whose country had just plunged into World War II. Warner Bros. paid $20,000 for the screen rights. That was a lot of money in 1941 for the rights to a pre-existing property, let alone for one by writers with no box-office track record. Murray Burnett was disappointed that the play would not be performed by live actors in a theater. 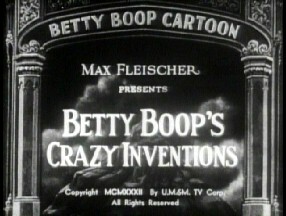 The Warner Bros. deal allowed the studio to suppress any theatrical version. Burnett could not hope for an eventual live performance unless it was in cooperation with the studio. Over the next many months, the studio expended effort and salary on experienced screenwriters, refashioning the story, adjusting mood and character. 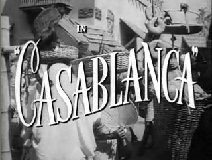 When the efforts were over, the play no longer was called Everybody Meets at Rick’s but instead bore as its title the name of the city in which the story is set: Casablanca. The changes resulted in a finished work that obviously pleased audiences and critics: the film grossed substantial box-office receipts and won three Academy Awards, including for Best Picture and for the very screenplay that differed mightily from the Burnett-Alison play. Murray Burnett still believed that his version would enthrall audiences. At least one eminent critic had managed to read the play and thus earned the right to disagree: James Agree wrote in The Nation magazine that the film “is obviously an improvement on one of the world’s worst plays”.